Learn 6 Eco-Friendly Tips for Saving Money Around the House (Green Living). Did You Know? If every person in just alone recycled his or her newspaper just one day a week, we would save over 36 million trees a year. You can save a tree for every four feet of paper you recycle. It takes half as much energy to make recycled newspaper as it takes to make fresh newsprint from trees. If every person in just alone recycled his or her newspaper just one day a week, we would save over 36 million trees a year. You can save a tree for every four feet of paper you recycle. It takes half as much energy to make recycled newspaper as it takes to make fresh newsprint from trees. In the past thirty years, the population nearly doubled. However, in that same period, public demand for water more than tripled! We use an average of 100 gallons of water each day - enough to fill 1,600 drinking glasses. It takes a substantial amount of energy to distribute and care for the water you use every day. The public water supply and treatment facilities consume about 56 billion kilowatt-hours (kWh) per year-enough electricity to power more than 5 million homes for an entire year. For example, letting your faucet run for five minutes uses about as much energy as letting a 60-watt light bulb run for 14 hours. If all households installed water-efficient appliances, the country would save more than 3 trillion gallons of water and more than $18 billion dollars per year! If one out of every 100 homes was replaced with water-efficient fixtures, we could save about 100 million kilowatt-hours of electricity per year - avoiding 80,000 tons of greenhouse gas emissions. The greenhouse gas savings would be equal to getting rid of nearly 15,000 automobiles from the road for one year. If they laid all the glass bottles and jars collected through recycling next to each other in a straight line, it would reach the moon and half way back to earth. I don't know about you but I was flabbergasted when I read these eco-green facts. It is astonishing how much waste we create in the comforts of our own homes. By making simple changes in our daily lives, we can make a huge difference in the world that we live in. 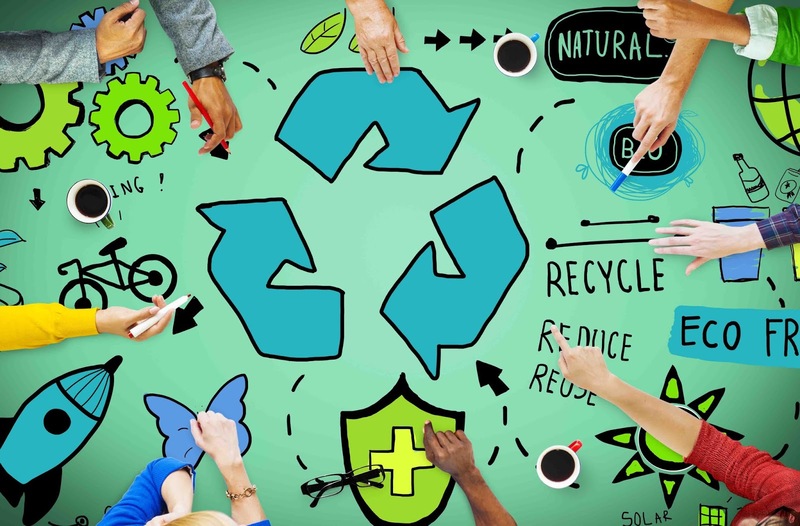 Making simple eco-green changes in our lifestyle can have a huge impact in our lives that will help us save money, energy and help prevent the destruction of our planet. At the rate, we are going the phrase; "destruction of the planet" is not far-fetched. Every non-green choice we make affects our planet and quality of our life. You do not have to change the way you live completely to help save the planet. 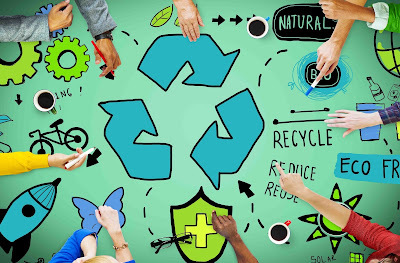 By making, a few simple alterations in your lifestyle, you can save tons of energy, water, money, our life span, and our planet just by going green. Below are five tips to help you save money, energy and the world we live in. There are tons of ways we can make our lives greener. Below are just a couple of tips on how to start greening your life. Use these tips to help you travel down a greener path. Niche the Staples and go staple-free - Staples have become an environmental hazard to our environment. Amazingly, Staple Free Staplers use absolutely no staples. Therefore, you don't have to worry about anymore torn papers, hooked clothing, painful fingers caused by the poking of a sharp metal staple, and no more stressing yourself over a jammed stapler either.Staple Free Staplers is an environmentally friendly device for the home or even for your office, which simply cuts a little flap in the corner of your papers, folds the flap back and tucks it into a tiny slit, and it dose it as quickly and easily as an old regular stapler. It is not as permanent as a staple, and the limit is five pages, but for what it does, it is a great product to have in the comforts of your own home. The pages can be pulled apart without tearing, under ordinary circumstances they hold together very well. The Staple Free Stapler is safe for all ages, and maintenance free. There are no metal prongs to catch your finger, sweater, or important documents on, and you will not have to spend your valuable time undoing a staple jam. Stop Spending Your Money On Toxic Products for the Home - Do you know what is in the household cleaning products you are using? The fact is, most household cleaning products on market shelves today contain many harmful and hazardous toxins and chemicals. These hazardous toxic substances can enter the body through ingestion, inhalation, or absorption through the skin, which can affect the heart, lungs, kidneys, liver, and the brain and have the potential to cause many serious health problems. Natural cleaning products on the other hand are non-toxic and much safer to use because they are made from natural, wholesome, ingredients. When it comes to cleaning and disinfecting your home, they work just as effectively if not better than the chemical products that sell in thousands of stores.Natural cleaning products are not only safer to use, they also save you money because they last longer and cost less. Helpful Tip: if you want to have a pretty scent in your home add 100% natural essential oils to your home made recipes such as tea tree oil, lavender or lemon oil, which not only provide a fresh aroma and scent, but also have natural antiseptic, antifungal, and disinfectant properties contained within them. Natural Works Better - I had just redone my kitchen. Of course, because it is in style I had to get stainless steel appliances. Big mistake when you have three kids! Stainless steel may look nice but the problem is you can see everyone's fingerprints and I would have to clean these appliances everyday or they looked like they have not been cleaned in ages, all this from my little kids greasy little hands! The products to make these appliances shine would cost a bundle too and not all of them work that well. Most of these products leave smudges that are noticeable to the naked eye and toxic to the environment, polluting the air we breathe and leading to slow destruction of our bodies. After researching trying, to find a better alternative than these toxic stainless steel cleaners that does not work well. I found information saying that vegetable oil works the best when it comes to cleaning and shining stainless steel appliances. I thought to myself, "vegetable oil? How could vegetable oil clean stainless steel?" So I said to myself, "What the heck, I'll try it!" Let me tell you I never used a better product in my life. I have spent a bunch of money on stainless products and nothing cleaned my stainless steel appliances better than vegetable oil. The shine was astonishing. Do You Have a Scratch On Your Stainless Steel Appliance? Not to Worry Because I Have An Eco-Green Solution That Works. - We learned that greener is better when it comes to cleaning, but did you know that vegetable oil can get rid of the scratches on your stainless steel appliances too. That's right, you heard me! One day I was cleaning my gas stove and I was lifting the black iron grills off the stove so I could clean the metal surface. Of course, I was in a rush because I had a 1001 other things on my mind that I needed to accomplish, so as I was lifting the grills in a rush and hit the front of the microwave which is stainless steel and I slightly scratched the surface. Well, I was stressed to say the least. If it were not new, I probably would not have cared as much, but since I just purchased it; it annoyed me to no end. So, I went to the hardware store and purchased $60.00 worth of products claimed to remove scratches. They smelled horrible, and they did not work. The scratch was still there. So, I went online and researched how to remove scratches off stainless steel naturally. And do you know what it told me, use vegetable oil, and rub it in a circular motion. So, I did! Not only does shine and clean your stainless steel. It took out the scratch! Talk about eco- green miracle products. Turn off the lights when you leave the room - Electricity bills are typically one of the highest bills a household gets each month. Turning off the lights when you leave the room as well as turning off any appliances and electronics that are not in use are simple ways to help you conserve energy and save money. Electricity generation is also a big cause for the pollution we have because many energy companies still rely on burning coal to provide energy for homes and businesses. By actively making sure that you are not wasting any electricity, you will simultaneously cut down on the amount of pollution on our planet as well as cut down on your electricity bill. Make the switch to CFL bulbs - CFL bulbs, also known as compact fluorescent lamp bulbs, cost more money to purchase than regular incandescent light bulbs. However, when you factor in how much money you save in the end with CFL bulbs, you will see that these more eco-friendly bulbs really pay for themselves with the savings you will encounter. CFL bulbs typically last up to 15 times longer than a conventional incandescent bulb, and they have the capability of putting out the same amount of light as a regular bulb but while using half the energy. In fact, one CFL bulb can save buyers more than $30 in energy costs in its lifetime. If you replace all of the lights in the house with CFL bulbs and make it a habit to turn off the lights when not in use, you could save hundreds of dollars in electricity costs annually. Everything we do every day has an impact on our planet - good or bad. You have the power to control most of your choices from where you live, to what you buy, eat, the products you use to light your home to where you shop. All these things can have a huge impact on our lives and our planet. Living a greener lifestyle will improve your health, save you tons of money, and, improve your overall quality of life.